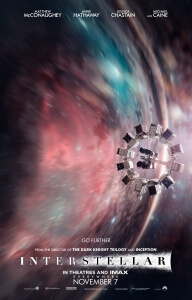 We can imagine a new drinking game being spawned from the ashes: try and talk about Christopher Nolan’s newest blockbuster Interstellar WITHOUT mentioning, referencing or comparing it to Stanley Kubrick’s 2001: A Space Odyssey, otherwise take a swig from whatever alcoholic drink you hold in your hand. If this chugging exercise – which we’re already branding “Inter-Stella Artois” (come at us, lawyers!) – truly comes into play, then we’re all going to be alcoholics by the end of the year. Because honestly, what other film CAN you compare it to? There’s space travel, slow-moving starships, barren wastelands, artificial intelligence (which, even more eerily, resemble monoliths almost down to a tee) and even a grand, organ-centric score courtesy of Nolan regular Hans Zimmer. All that seems to be missing from Interstellar is a penchant for classical music and a giant, creepy space baby that fuels your nightmares at the very end of the picture. All of that has forced this reviewer to take at least five shots of booze, and they are already feeling light-headed because of it. But Nolan has crafted something that doesn’t just stand strongly against Kubrick’s vision (six shots!) but also provides a valuable source of entertainment in its own right. Once the film truly gets going after a lengthy period on an increasingly-fragile Earth, the spectacle becomes ever grander and the visuals become more ambitious. Thanks to stunning VFX work courtesy of the folks at Double Negative, the atmospheric shots of space and its various planets are dazzling to look at while later sequences involving wormholes and black holes alike are both haunting and interestingly pretty to behold. Much has been made also of Nolan’s preference of practical effects without the crutches of computer software, and what he manages to display from this – the interiors of space stations, the on-location shooting in Iceland to double for an ice planet et cetera – is extremely impressive, especially given the film’s ideas and scale. Impressive, too, is the continued use of IMAX cinematography by Hoyte van Hoytema, replacing Nolan regular Wally Pfister who went off to make Transcendence while this was being made (and boy, we imagine he’s regretting it now). This is the most it’s been used in a Nolan film to date, and here it works to expand the window of these new and enthralling places while reminding us of its core message to keep our eyes wide open and dream big. As a director, Nolan displays a determined eye for exploring the universe and its many secrets, again not unlike Kubrick with 2001 (seven shots! ), but also for inserting a surprising amount of human emotion and drama into the frame. Its heart and centre is undoubtedly the relationship between Matthew McConaughey’s father Cooper and daughter Murph (Mackenzie Foy as a child, Jessica Chastain as an adult), and how their individual adoration for science and infinite possibilities – Murph herself is named after the infamous “Murphy’s Law” theory – brings them together and, ultimately, tears them apart. A later scene shows McConaughey’s face in a close-up as he watches a series of video messages from his family as the years go by on Earth despite it having only been minutes for McConaughey and crew (it’s explained why in the movie), and you can see the despair and heartbreak in his facial expressions as the years are literally being played in front of his eyes. One thing people complained about with 2001 (eight!) was the lack of genuine humanity and emotion, so it seems as if Nolan decided to spend $165 million on a film that provided a worthy alternative to that, with its “absent daddy” themes and longing for family (no wonder Spielberg was originally attached to direct this film). Though, there are times when the emotion and themes of love can be a little too ham-fisted and the kind of cheese that George Lucas would kill to replicate in his writing. After all, there is a scene where Anne Hathaway’s fellow scientist makes a speech about how “love is the one thing that transcends time and space”. Somebody get us a bucket, and we don’t think it’s because of this drinking game. Some audiences may not find themselves warming to the characters as much, and it’d be understandable if they didn’t because, quite frankly, they aren’t the most developed characters or the most interesting. They brought in good actors to play them, like McConaughey and Chastain, and they do well but not much makes their characters stand out as definitive archetypes. You can tell almost immediately from the space crew that goes on the main voyage who the red-shirts are, and it’s not too long into the proceedings that their “purpose” is fulfilled. There isn’t a truly diabolical and memorable villain like HAL 9000 (nine! ), though there kind of is later on but we won’t spoil it for you, and the film does more than often drown itself in scientific expositon about as much as we’re drowning our inhibitions right now as we drink. 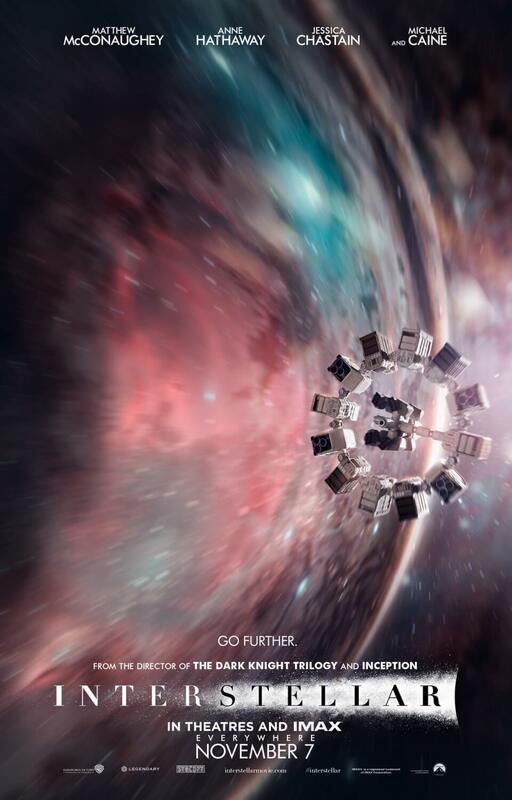 Interstellar is an extraordinary and ambitious vision from director Christopher Nolan, combining entertaining space-centric visuals and ideas with a heavy human heart and making it an experience worth revisiting as time goes by. Just be aware, though; if you ARE going to partake in “Inter-Stella Artois”, we advise you to drink responsibly.